Former Butler, Shine, Stern & Partners ad man Mike Shine embarked on a new career nearly three years ago, following his passion for artwork. 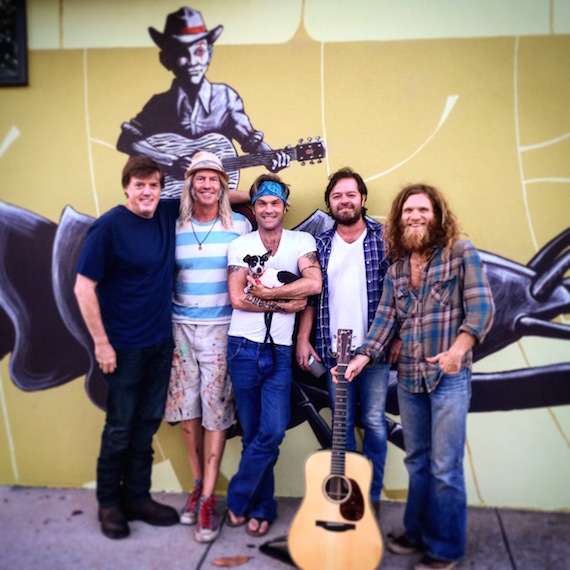 Shine was in Nashville recently to design and paint a mural for Frank Liddell’s Carnival Music. 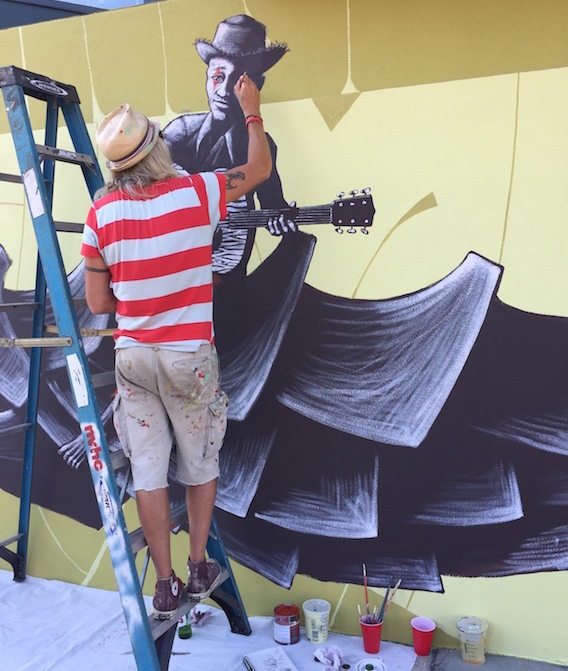 Mike Shine paints a mural on the side of Carnival Music. 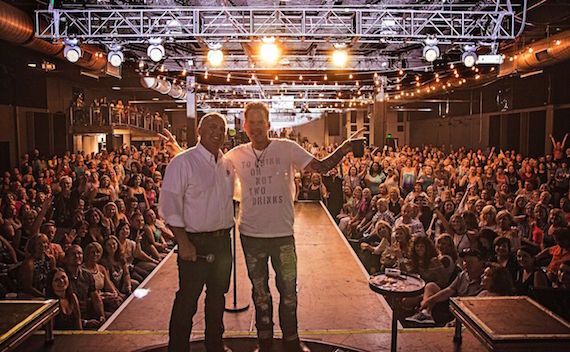 Gary Allan performed a two-hour concert for more than 1,000 fans during his annual Fan Club party, held at Rocketown in Nashville. In the middle of his performance, Allan stopped to remember his longtime friend, the late Sharon Eaves. Eaves, who passed away in October of last year was the President of Allan’s Fan Club for almost 20 years. Jackie Proffit from St. Jude joined Allan on stage to honor Eaves and her contribution to the children’s hospital. The fan club party also featured a live auction. Allan also hosted an online auction in Eaves’ honor last week. The auction and event raised more than $25,000 for St. Jude in Eaves’ honor. Dale Nichols, Gary Allan, and members of Gary Allan’s fanclub. Congratulations to ASCAP, winners of the Loveless Cafe’s 65th Birthday Biscuit Bash. 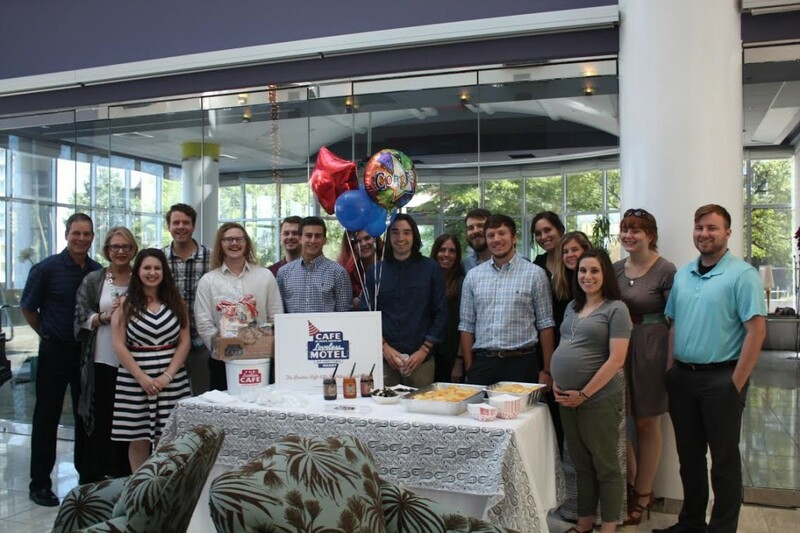 Employees enjoyed homemade biscuits and preserves. ASCAP member services employee Stephanie Reeder, who submitted the winning entry, received a Loveless Cafe gift pack as well. Businesses can enter to win free biscuits for up to 65 people; a new winner is selected every month through November. Singer-songwriter Lacy Cavalier, published by Victoria Shaw and Downtown Music, will make her CMA Music Festival debut this year. Cavalier will perform at the new Radio Disney Country Stage at Fan Fair X on Sunday, June 12 from noon-2 p.m. She joins Jana Kramer, Maddie & Tae, Lauren Alaina, Dan + Shay, Drew Baldridge and more. Cavalier’s EP, Savin’ Pennies, Payin’ Dues, is now on iTunes.